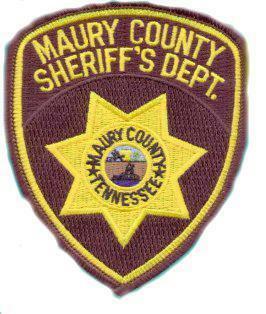 Law Enforcement Explorer Post #720 Maury County Sheriff's Department located in Columbia, Tennessee is comprised of explorers 14 to 21 years of age. The Maury County Sheriff's Department Law Enforcement Explorer Post #720 was established in September of 1999 by Sheriff Enoch R. George. The program is geared toward young men and women, ages 14 to 21, which have an interest in law enforcement. Explorers are able to work in different divisions within the Department observing and assisting wherever possible. To increase the understanding between the youth of the community and the Maury County Sheriff's Department. To guide qualified young men and women into a career in law enforcement. To provide the opportunity for citizenship, service, fitness, outdoor, social, and career experiences necessary for young men and women to be better prepared to take places in the community as citizens. If you are interested in applying for an Explorer position with this program, you may contact us by e-mail at the bottom of the page. You may also call the Sheriff's Department at (931) 380-5733 extension 206 and leave a message for the Explorer Advisor, Deputy David Dweck. We will respond to your questions or comments as soon as possible. This web site will be updated periodically so please visit us again soon. Explorer Post #720 is a non-profit organization and chartered by the Boy Scouts of America. � Copyright 1999-2002 Maury County Sheriff's Department, Law Enforcement Explorer Post #720 All Rights Reserved.